Jun 01, 2016 Penny, Thanks for providing me the information on your situation. I apologize for whatever miscommunication resulted in your frustration. As of this morning our managing partner in the Houston office, James Crossno has called and left you a message. I also received your follow up to the original message and will be involved in doing whatever is reasonable to help you. Although I was not part of the original conversation between you and the agent in Houston I can assure you we will give you all of your options and participate in putting you in the best situation possible. Thanks for the opportunity to address this. We will be in touch soon with specific information and hopefully an acceptable remedy. If there is anything else you need my direct number is 800-654-1288 x205. I wanted an infinity G37. I knew that I couldn't afford to buy a new one. I also know that I get bored quickly with vehicles so short term leasing one was the best option. 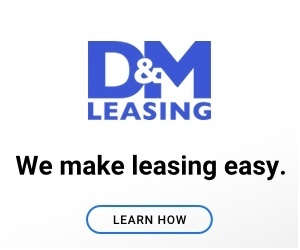 My husband suggested D&M leasing from the radio advertisements. I contacted the Houston office and told the salesman exactly what I wanted. He brought me the black G37 infinity and I loved it. I decided that this was the car I wanted. He told me based on the monthly payment I wanted around $500 a month on a 3 year lease, I would have to go with a 2009 model. We agreed that this is what I wanted and he left with the car to get everything set up. Later that day, he told me that he could not make the numbers work with that particular car that had 18,000 miles but he found me another out of state and was going to have it shipped to Houston. Identical car. The only problem was the lowest he could get my payment was $560/month for the 3 year term as we discussed. I agree to this. When he brings me the car, it does look the same but had 10k more miles on it. to make up for the extra miles, he agreed to pay for an extended warranty on the car. He made it clear that this warranty was for 36 months so I would be covered the entire time I had the lease. I agreed to keep the car. He told me to expect to get a call from D&M when I hit the 2 year point into the 3 year lease, as this is the time I would be given the option to buy the car, finish the final year of the lease, or lease a different vehicle. This was presented as a matter of fact or standard business. As the 2 year mark approaches the beginning in April, I called D&M this week and told them that I wanted to talk about turning in the car and look into SUV's. The salesman I had dealt with is no longer there. The man I spoke with looked at my file and stated that I was a little early to do this. I said no.... just a few months but I wanted to get the ball rolling. He said that he would look into some things and get back to me. Never called back. I pulled out my paperwork last night and on the top of the agreement it states the term of agreement 36 months. (turns out that is referring to the warranty) Below that is the box that says the lease payments of $561 with the first one due.. followed by 53 more payments yes 53 additional payments. Hoping it was a typo, I called the bank to verify. Yes, the payment plan was set up for 54 payments! The copy I have is not signed but if I had seen that or had gone over that in the sales office I would have never signed it!. I feel like the lease agreement was deliberatley written that way. This has me leasing a 2009 car for 5 years and paying over 30,000??? I was lied to over and over again and went in to that office to sign a lease that placed the 36 months right at the top of the form. I called D&M today and left messages but have yet to receive a call. I am upset beyond words. Reason of review: deceitful salesman. Tricked into signing a 54 month lease when it was very clear during all talks and negotiations that I wanted the car for 3 years maximum. Am ready to change now at 2 years as I was told this was an option per my 36 month lease. Preferred solution: I want the original 3 year lease that I had verbally negotiated with Clifford Matthews. Now approaching 2 years into the lease, I would like to consider exercising the option of rolling over to another lease of an SUV. I do not expect penalties to do this. I liked: Cars brought to you. I didn't like: Salesman lying to get the deal. Review #590830 is a subjective opinion of penfrog. That is actually contract fraud (Fraud in the Factum), you can contact a contract attorney which means spending more money and having more stress. I personally don't trust attorneys, so make sure any contract you sign meets your 100% approval or draw up your own. I suggest contacting the federal trade commission and the BBB and file complaints, make sure you get a response on your complaints so someone will follow up.